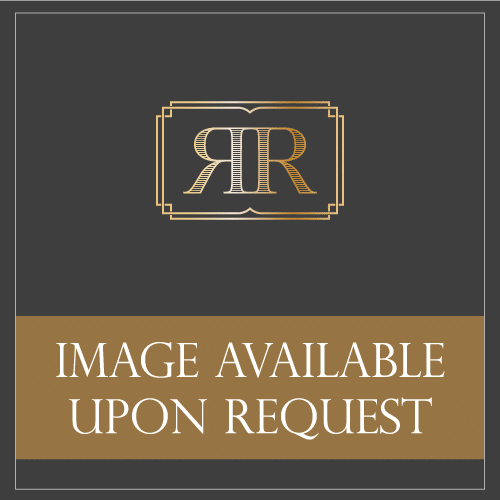 Raptis Rare Books is a trusted supplier and antiquarian book seller and as such maintains a large inventory of rare finance and economics books. Browse through our entire collection online below, add a product to your wish list, ask any questions about a specific product or order online today! New York: John W. Parker, 1843. First edition of this classic work on logic. Octavo, original cloth. In very good condition with some wear to the cloth and overall toning. Housed in a custom half morocco clamshell box. First editions in the original cloth are rare. Hayek, Friedrich August von [F.A.]. 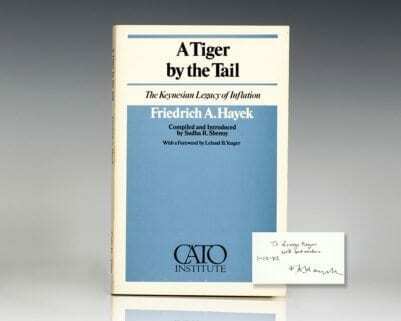 A Tiger by the Tail: The Keynesian Legacy of Inflation. San Francisco : Cato Institute , 1979. 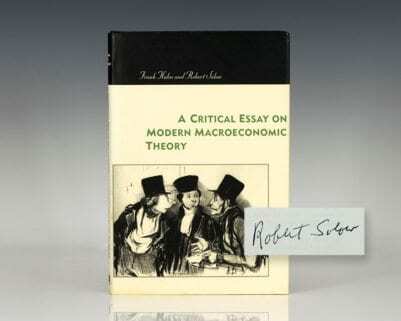 First edition of this collection of writings on Keynesian economics by the Nobel Prize-winning economist. Octavo, original wrappers as issued. 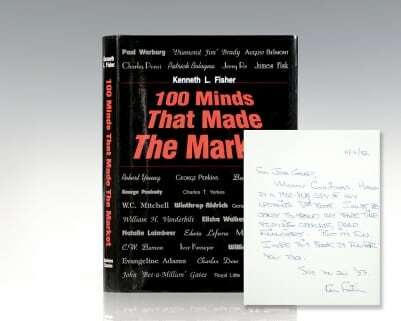 Inscribed by the author on the front free endpaper, “To George Meyer with best wishes 1-12-82 F.A. Hayek.” Compiled and introduced by Sudha R. Shenoy. With a foreword by Leland B. Yeager. In fine condition. 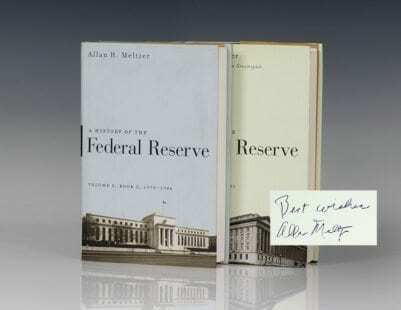 Rare signed and inscribed. A Treatise Concerning Political Enquiry, and the Liberty of the Press. New York: Printed by George Forman, 1800. First edition of a classic work of libertarian political philosophy. Octavo, contemporary calf. In very good condition with some marginal dampstaining and wear to the extremities. Housed in a custom half morocco clamshell box. First editions are extremely rare. Keynes A Treatise on Money, in the rare original dust jackets. A Treatise On Money: In Two Volumes. London: MacMillan & Company, 1930. First editions of each volume. Octavo, two volumes, original blue cloth. Review copy with the slip from MacMillan in volume one. Each volume is fine in the rare dust jackets with light wear to volume one of the spine. Housed in a custom half morocco clamshell box. Exceptionally rare in the original dust jackets and in this condition. New York: Harcourt, Brace & Company, 1930. 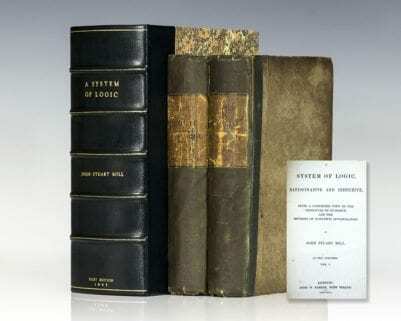 First American editions of each volume. Octavo, two volumes, original cloth. Each volume is fine in the original dust jackets which have had some professional restoration. London: MacMillan & Company, 1921. First edition of “undoubtedly the most important work on probability that has appeared for a very long time” (Bertrand Russell). Octavo, original brown cloth with titles to the spine in gilt. In very good condition with some general wear to the extremities. First edition of what Bertrand Russell called, “undoubtedly the most important work on probability that has appeared for a very long time,” and a “book as a whole is one which it is impossible to praise too highly.” Octavo, original brown cloth with titles to the spine in gilt. In near fine condition with the spine gilt very bright. A very sharp example. A Treatise on the Family. Cambridge, MA: Harvard University Press, 1981. 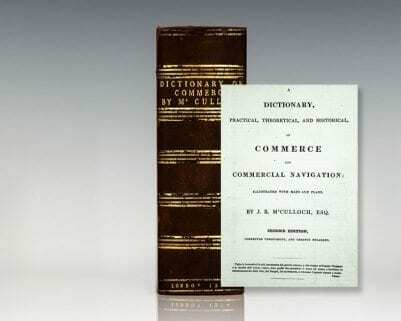 First edition of this landmark work. Octavo, original boards. Inscribed by the author to colleague Sidney Davidson. Fine in a near fine dust jacket with a small chip to the front panel. Thaler, Richard H. Edited by. New York: Russell Sage Foundation, 1993. First edition of this collection of essays on behavioral finance. Octavo, original boards. 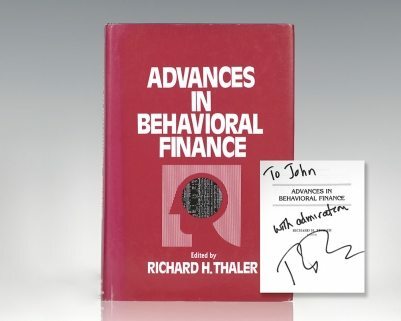 Inscribed by Nobel Prize-winning economist Richard Thaler on the title page, “For John with admiration Richard Thaler.” Fine in a near fine dust jacket. Contributors include Richard H. Thaler, Robert J. Shiller, Andrei Shleifer, Lawrence H. Summers, Kenneth French and Richard Roll. 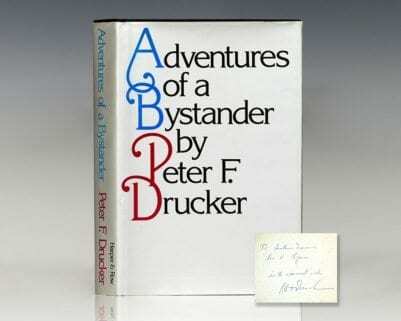 First edition of Drucker’s autobiography. Octavo, original cloth. Warmly inscribed by Peter Drucker on the front free endpaper. Fine in a fine dust jacket. Jacket design by Paul Bacon.